They are exotic fruits that are found in tropical and Mediteranean climates and is native to central americal. Hass – which is considered to be the best type of avocado and has a knobbly and dark skin. Ettinger and Fuerte – which are both pear-shaped and smooth skinned. Nabal – which is spherical in shape. It is occasionally known as a butter pear mainly due to its unctuous flesh or even an alligator pear because of its knobbly skin. So if we can eat Avocados, then can rabbits eat them at all? 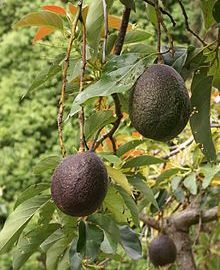 The thing about Avocado’s is that they are stone-fruit, in that they have a stone right at their core. Unfortunately, rabbit’s can’t eat any stone-fruit’s as they are toxic for them. Why are avocados toxic for rabbits? So eating avocado flesh, skin, and even their leaves and branches can have a detrimental effect on them. If it is eaten then do consult a vet as soon as you can to get support and advice.